Bank Short Sale approval for $272K. Quick Close with Cash Buyer needed. 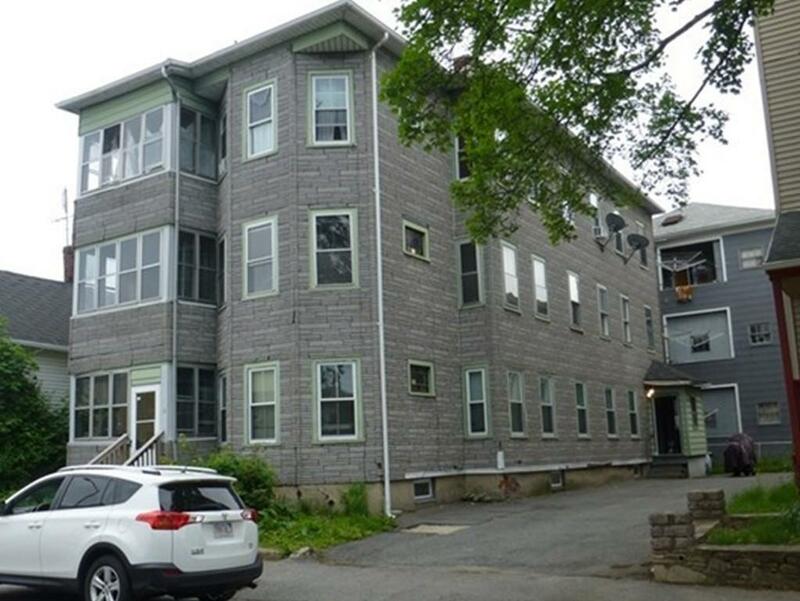 Large three family with 3 bedrooms; 1 bathroom each unit. Total living square feet 4,416. Four off street parking spaces. Mostly new vinyl windows. Storage units in back hallways for each unit with individual circuit breakers. Gas Heat. Gas Hot Water Tanks (1st floor about 5 years old; 2nd floor 2017; 3rd floor 2016). Location, Location, Location...Just one block from Crompton Park, one block from restaurants and entertainment on Millbury Street and five blocks from the interchange of Rt. 146 and Rt. 290. Listing courtesy of Katie Bilotta of Era Key Realty Services - Worcester. Disclosures Preview Of Third Floor Only With Accepted Written Offer. Property in A Flood Zone. Listing provided courtesy of Katie Bilotta of Era Key Realty Services - Worcester.